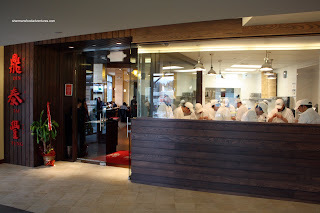 Finding good Shanghainese food in Vancouver is as easy as being cut off by a luxury SUV. 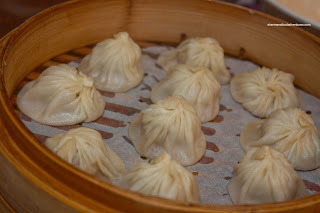 When good Xiao Long Bao can be found anywhere from Richmond to Coquitlam, we really take it for granted. Now, on the other hand, if someone told you that good XLBs could be found in Bellevue, Washington, would you now be safe from dangerously-driven luxury SUVs? No, not exactly. But there really are good XLBs to found here. Din Tai Fung, the famous XLB joint hailing from Taiwan opened their brand-spanking new location in Bellevue less than half-a-year-ago. With a staff that boasts as many non-Asians as Asians, it might on the surface seem a bit distressing. Yet, that doesn't nearly tell the whole story. 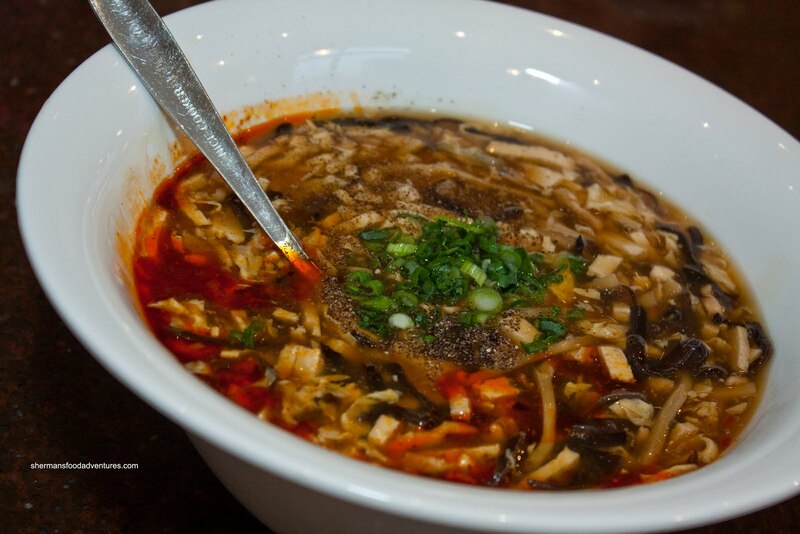 Take a tried-and-true formula, replicate it with well-trained staff (no matter the nationality) and you have authentic Shanghainese/Taiwanese food. On my way to Portland, we decided to make a pitstop at Goose's house for one night. Hey, with kiddies in tow, this is a good idea to split up the 5 hour drive into 2 parts. We headed out to the aforementioned DTF for dinner. We got down to ordering and got a whole whack of food starting with the large Hot and Sour Soup. The portion size was full of tofu, wood ear mushrooms and bamboo shoots with enough for more than 10 bowls. The base broth was very meaty and full of depth. That in itself made the soup legit from the start. However, it was lacking in both hot and sour. But then again, that could be rectified easily with a few more drops of chili oil and vinegar. Naturally, we had to order the Xiao Long Bao. In fact, we got 3 orders! They were very smart about it. They brought 2 first and the 3rd much later to keep everything fresh. One order consists of 10 little XLBs. 1.5 of them is probably equivalent to one you'd find in a typical Vancouver Shanghainese restaurant. For almost $10.00, these were not exactly cheap. 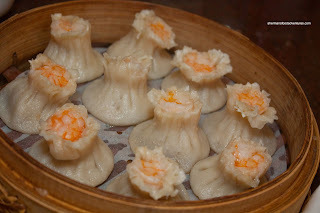 Immediately, we noticed the extremely thin dumpling skin with a slightly chewy top where the dough swirls. The meat filling was slightly gritty while the ample soup was very tasty without being salty. I found the XLBs to be very good; but not any better than the ones we have in Vancouver. pork chop. The fried rice itself was quite nice. 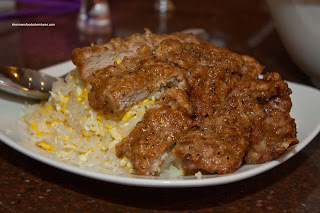 With chewy discernible grains of rice, it was texturally pleasing while being properly seasoned. I wasn't a huge fan of the pork chop though. The coating ended up to be quite mushy and lacking in overall flavour. I would've preferred a crispy fried chop instead. 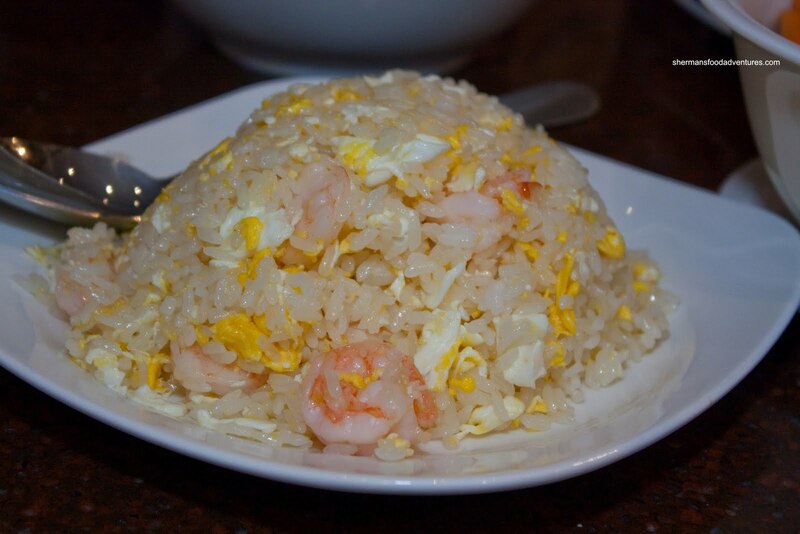 The second dish was Shrimp Fried Rice and it exactly matched the description. With the same fried rice base, except for the addition of crunchy shrimp, this was a solid, if unspectacular dish. For the kiddies, we got the Chicken Noodle Soup. Despite the obvious, this is not your Campbell's version. Rather than using salt as a primary flavouring agent, this soup base was light while still exhibiting enough natural flavour. The best part was the excellent noodles. They were fresh and cooked perfectly al dente. 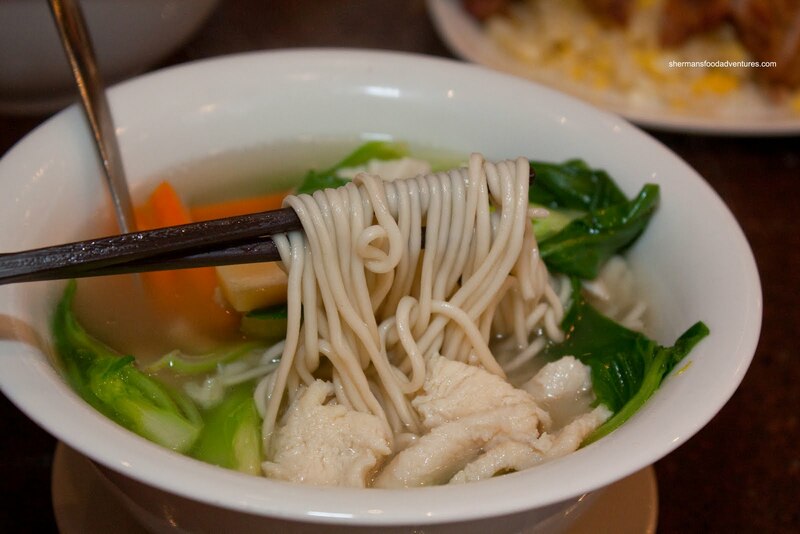 Tender chicken and crispy veggies rounded out the good bowl of noodles. The Spicy Beef Noodles were even better. 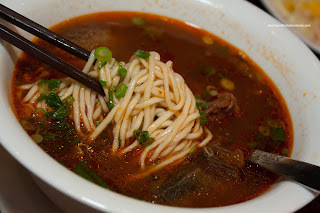 Much like the hot and sour soup, the broth was very meaty and only mildly spicy. The noodles were once again perfectly al dente. The best part was the extremely tender pieces of stewed beef shank. It literally melted in my mouth; but it still retained its integrity. While not on the menu, we spotted the Shrimp and Pork Potstickers advertised on a placard. We got 2 orders of those. 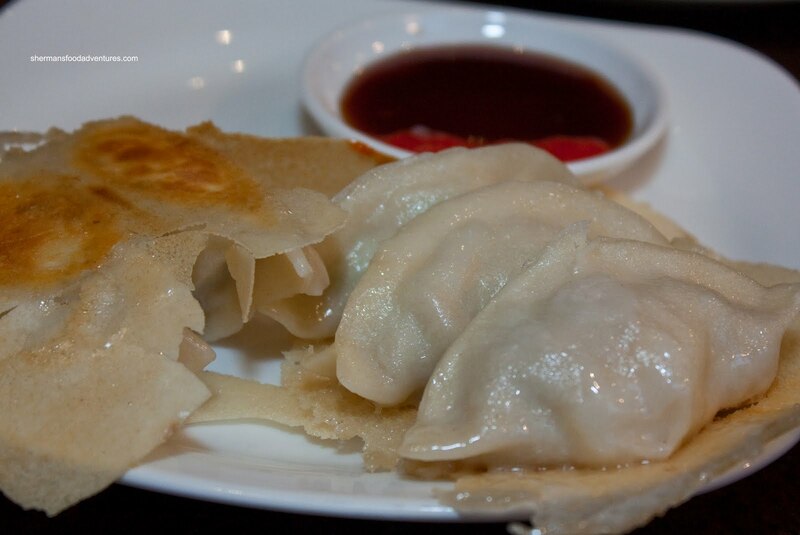 When they arrived, they didn't look like any potstickers we'd ever seen before. Totally covered by a crispy skin of dough, these dumplings were pretty good. With similarly delicious pork filling as the XLBs combined with a whole cold-water shrimp, these had a just-thick-enough dumpling skin. One thing I was not fond of was the sweet and spicy dipping sauce. Stick with the vinegar and ginger on this one. Curiosity struck again when we decided to try out the Pork and Shrimp Sui Mai. We didn't know what to expect and it turned out to be essentially XLBs topped with a whole shrimp. Hence, there was the same tasty soup and thin dumpling skin. Still not convinced with the pork filling though. These ended up to be quite large with the addition of the shrimp. Not bad, I'd stick with the regular XLBs though. With already 2 noodles, I thought we should have a 3rd one. I really wanted to try their version of the Tan Tan Noodles. It turned out to be a good idea because it was excellent. The noodles were al dente as per the other dishes we had. But the thing that put it over the top was the excellent sauce. 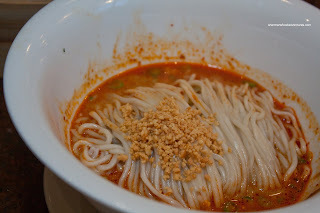 Just the right combination of peanut, sesame, spiciness, sweet and salty, this was a well balanced tan tan noodles. Furthermore, there was just enough liquid to noodle, so it coated all the noodles without drowning it. 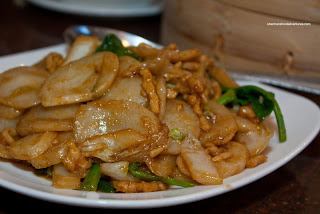 For our last savoury dish, we got the classic Shanghai Fried Rice Cake. Unlike many other places, these rice cakes slices were freshly made. We could tell the freshness from the texture and appearance. Slightly softer on the first bite while becoming slightly chewy at the end, the rice cake was also very good. From the just barely cooked veggies to the tender julienned pork and balanced seasoning, this was a properly executed product. 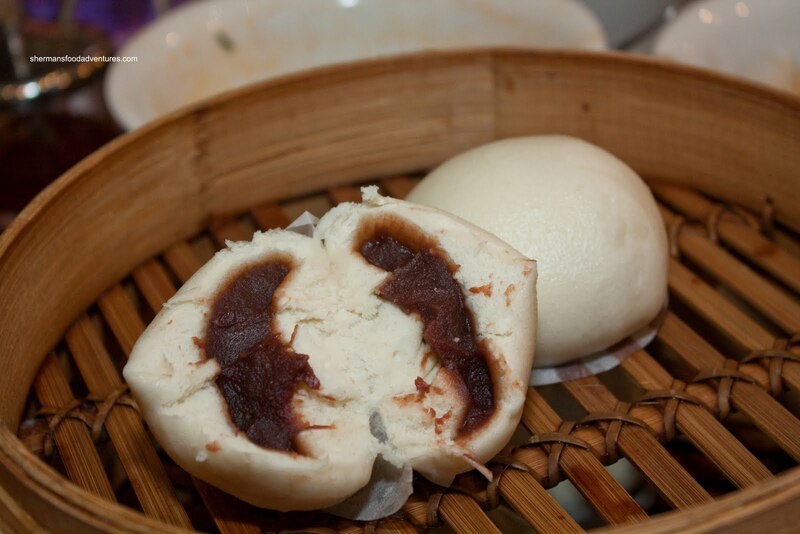 Finally, we ended the meal with Sweet Red Bean Steamed Buns. Something so simple was also done to perfection. The bun itself had the perfect consistency of being soft while having some chewiness. It did not stick to our teeth, which is an indication of proper execution. The red bean filling was only sweet enough without being overly so. That was a nice end to a surprising meal. Honestly, I was ready to hate this place. After all, there was so much hype surrounding the opening. Furthermore, from the perspective of a Vancouverite, we expect good Shanghainese and/or Taiwanese food, so DTF shouldn't be much of a revelation. However, what impressed me the most was not that it is any better than anything we have in Vancouver. Rather, it was the level of execution and high quality of ingredients. I guess DTF has a reputation to uphold and they take it seriously. I heard of some kinks when they first opened and I can assure you from the experience I had, they have ironed it out. We were thoroughly satisfied with our meal and went away not noticing the hefty bill of $132.00 before tip. Expensive? Yes. Smallish portion sizes? Probably. Good food? Absolutely. I visited Din Tai Fung in Taipei and the wait line was just insane! But props to them for still being organized. Their XLB was very good and so was their tan tan noodles! I'd been trying to convince everybody I know to go to DTF, but everybody keeps pooh-poohing the place based on the price and the wait. So when I finally get the chance to go, I miss it! Boo! Hopefully I'll catch you next time you're in town. I still haven't been here yet, but I'm hoping to talk some friends into in the next couple of weeks. @SFF Hey, is there a huge lineup at that location too? @Mimimoza Agreed, their stuff is pretty top notch if not expensive. @Natasha Reed Sorry I missed you! I promise to meet up next time!